Insurance – check you have the right type for your organisation and for your event(s). More information can be found here. Risk Assessments - these should be carried out for your everyday work and for events. More information can be found here. Licences – This is not only for alcohol and public entertainment – although you do need to get these in place. Think about things like TV licencing or those for playing music. Health and Safety – this should be a routine part of your working, but you might need to make extra considerations for events. 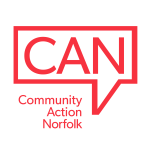 Regular training sessions are held as part of the Working Together partnership between Community Action Norfolk, Momentum (Norfolk) and Voluntary Norfolk. You can keep up to date with the latest training opportunities by subscribing to our Training Newsletter. If you are responsible for a play area, you might find it useful to attend our Play Area Equipment Inspection Training on Weds 28th November. For more information please click here.